However tough the going gets, he always finds a way to get the job done. 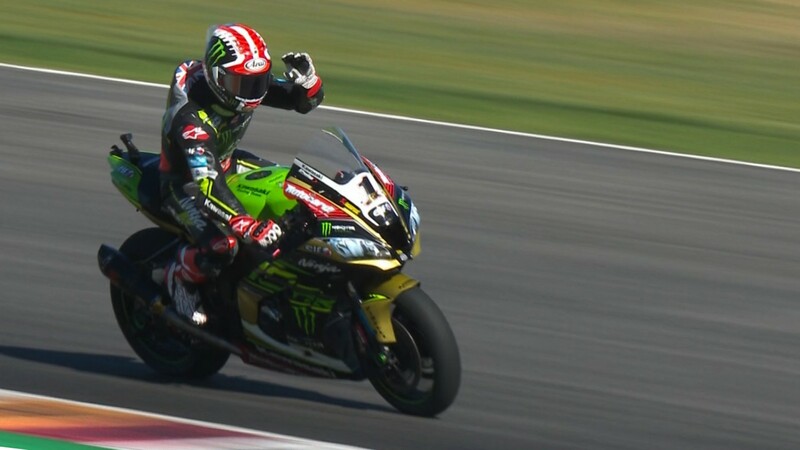 Jonathan Rea (Kawasaki Racing Team WorldSBK) claimed his fifth consecutive double of the 2018 MOTUL FIM Superbike World Championship at the Circuito San Juan Villicum in sensational fashion. 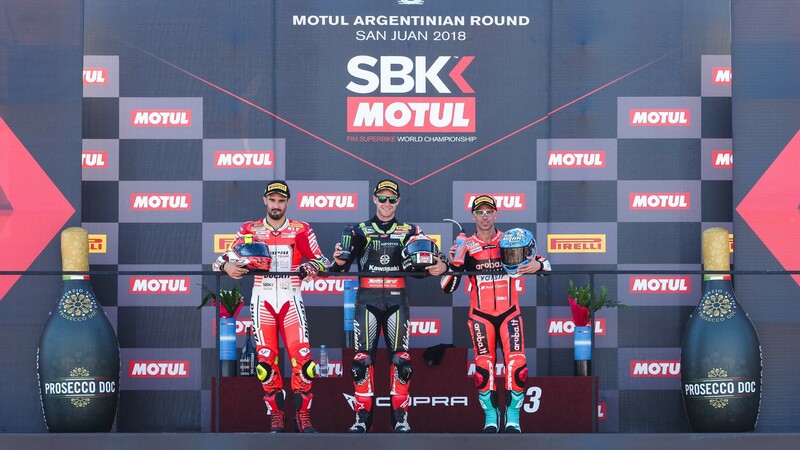 The champion was forced to dig deep to take the Argentinian double ahead of Xavi Fores (Barni Racing Team), but now holds another record to his name for the most consecutive wins in a World Superbike season, beating Colin Edwards and Neil Hodgson’s previous streak of nine victories. 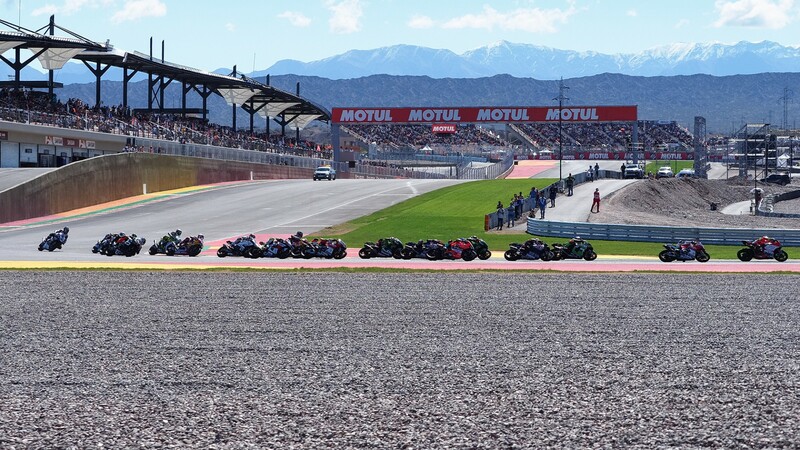 The opening laps at the Circuito San Juan Villicum were amongst the most chaotic of the entire 2018 season. 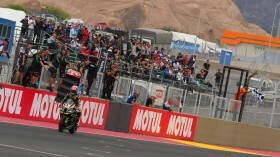 Fores was quick off the marks from pole, but his partners on the Race Two front row suffered much worse fates: Tom Sykes (Kawasaki Racing Team WorldSBK) immediately fell to the fringes of the top ten, while Eugene Laverty (Milwaukee Aprilia) crashed out unopposed in lap three whilst riding in second place. 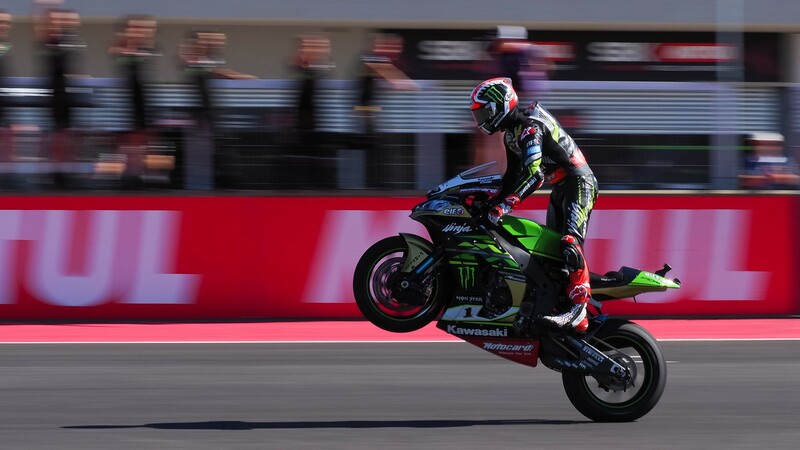 It would be a big understatement to say that Rea’s race start went less smoothly than in Race One. 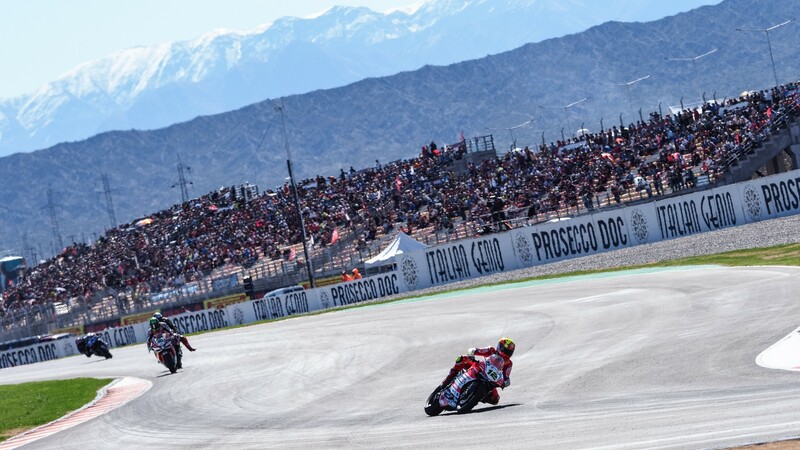 A strong start pushed him up into the top five at the lights, but a succession of mistakes through the end of lap one and the first half of lap two saw him lose positions to Alex Lowes (Pata Yamaha Official WorldSBK Team) and Chaz Davies (Aruba.it Racing – Ducati), nearly falling one further under pressure from Marco Melandri (Aruba.it Racing – Ducati). The Argentinian fans would not have to wait long for the comeback. 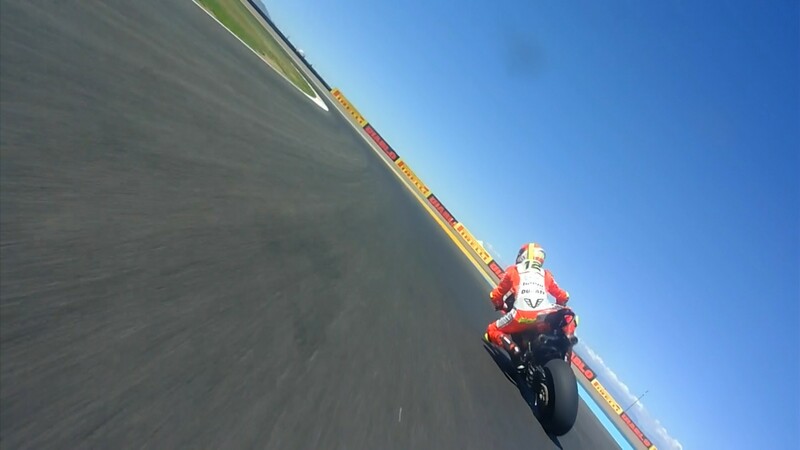 Rea saw himself past Davies after the Welshman went in too hot at turn 1, then made good use of the back straight slipstream to edge smoothly past Lowes. A mistake from Razgatlioglu also left the Turkish rookie in the Northern Irishman’s wake. 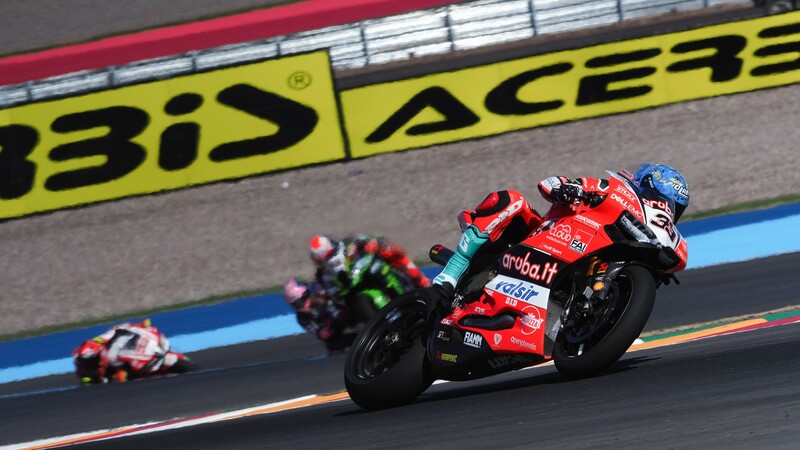 Meanwhile, a bruising battle for fourth saw Davies, Melandri and Lowes exchange places turn after turn. A cool second for Fores means that he is now the official independent riders champion, thanks to his fifth podium of the year. 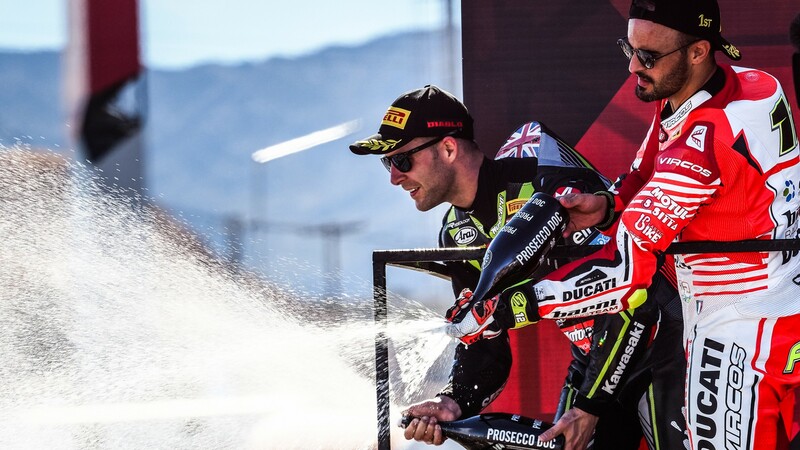 Marco Melandri managed to return to the rostrum after a fantastic race-long duel with Davies, who finished fourth and again increases his gap with Michael van der Mark (Pata Yamaha Official WorldSBK Team) to 24 points, after the Dutchman ended Race Two in ninth. That’s a wrap from San Juan! 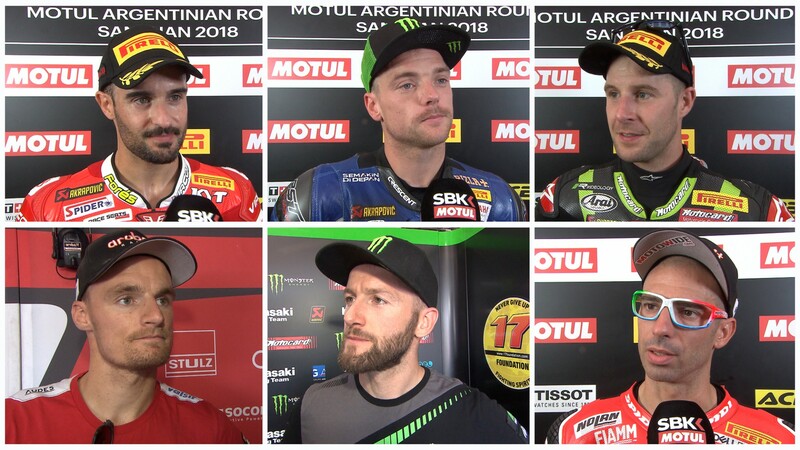 Don’t miss the final round of the season in two weeks’ time at Qatar, and catch all the highlights from the Motul Argentinian Round thanks to WorldSBK VideoPass.